Fever 104 FM Delhi has been radio station of Delhi for over 6 years and its shows and initiatives have attracted strong listener loyalty. The station is the destination station for youth with focus on innovation and listener’s delight. Morning show is very important as it sets the tone for the day and often the signature show for a station. 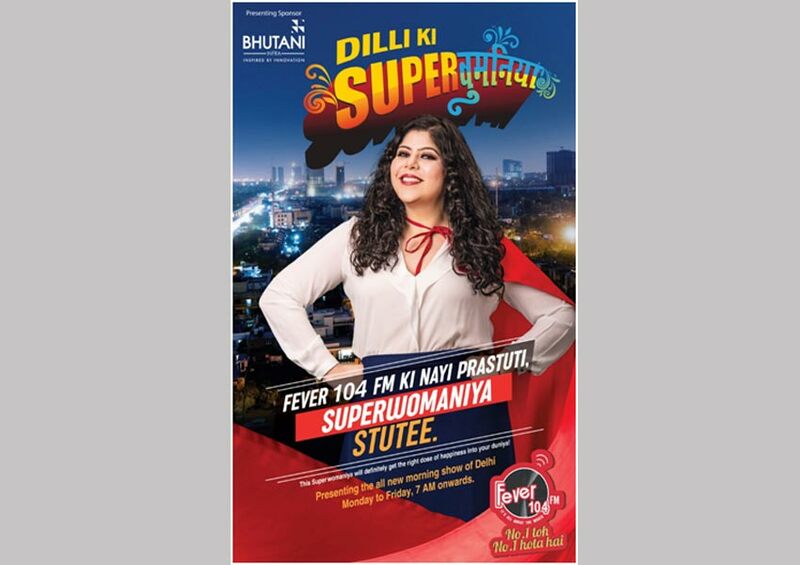 Fever 104 FM Delhi has further reinvigorated the morning showand launched ‘Dilli Ki Superwomaniya’ with RJ Stutee. RJ Stutee, who is known for her entertaining, spontaneous and unapologetic persona and strong Bollywood connectacross digital and on air platforms, will now make every morning come alive with her charisma. From movie reviews to special segments with politicians to city updates to news highlights to fun and humour – the show will offer a perfect blend of interesting and entertainment content to listeners!